2017 is proving to be a year of innovation. With a focus on new materials, we introduce you to a selection of furniture craftsmen chosen to experiment with our new textiles. 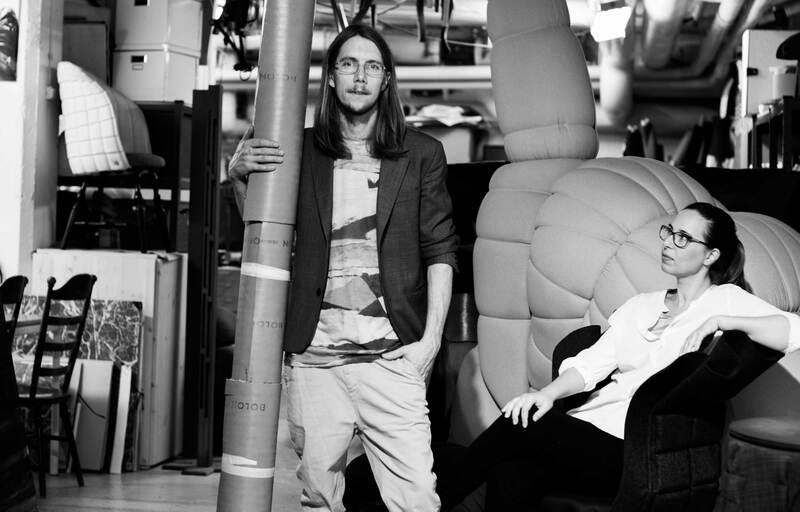 Meet FÄRG&BLANCHE the design duo based in Sweden who was recently voted Designer of The Year. 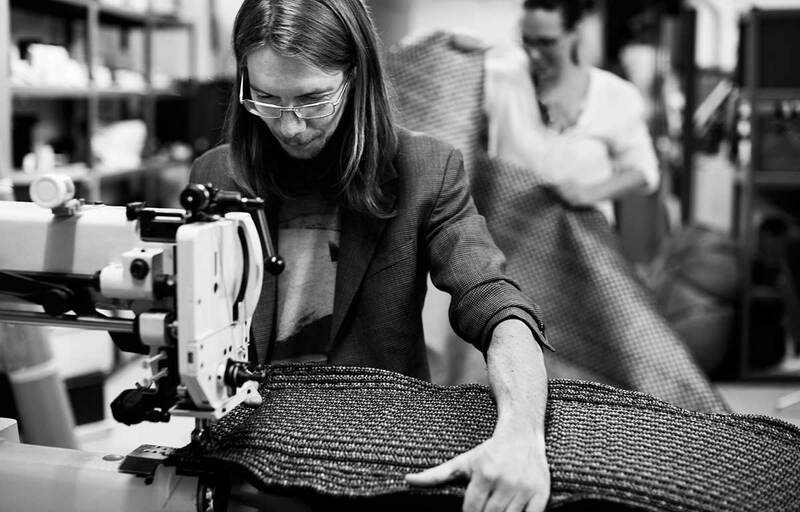 Read about their collaborative experience with BOLON and their curiosity for innovation. Fredrik: I come from the west coast of Sweden; I´m first educated as a fine cabinet maker and then went to design school for my bachelor and master degrees in Gothenburg. I started my design studio after graduating in 2008. Emma: I´m half French-half Swedish; I grew up in France were I also made my design studies. I graduated in 2006 and moved after that to Sweden and started my own design studio. We started the design studio FÄRG&BLANCHE together around 2010 and since then we do everything together. As a studio, we work across a wide variety of fields, collaborating with established furniture brands such as BD Barcelona Design, Gärsnäs, Petite Friture or Design House Stockholm, as well as producing our own collections and limited art pieces for galleries. We love to experiment with material and in particular with textile. We have a big studio with a workshop in Stockholm where we can make prototypes to test. Fredrik: I think I met Annica for the fist time 10 years ago while I was still a design student. They helped me when I exhibited at Salone satellite 2009 with flooring, as well as when we did the “20 designer at Biologiska” exhibition. So in one way they have been there all the way from the very beginning of our carriers. We were really glad when BOLON contacted us for this project. We have been speaking about doing something together for a long time and it could not have been better timing. Both BOLON and we share this curiosity about innovation and material and to have a company like BOLON that wants to experiment is like a dream scenario for us. So we are really involved in this collaboration and are already working on developing more objects with their new textile as well as experimenting with their traditional flooring material to be used in furniture. We are really impressed by the fact that BOLON always wants to move forward and that they are so curious about experimenting with material. They have this energy that always makes you feel that everything is possible. For this collaboration, we decided as we are freelance designers to make something completely new. We wanted to make a big piece that used the full length of the textile, at around 2 meters. It is an armchair called “Long Neck” with a really high back. This piece is part of a bigger collection called: “Armour mon Amour”, that we will show in Milan this April where we are going to use the new BOLON textile in different pieces. This collection takes its inspiration from the samurai and their armour. 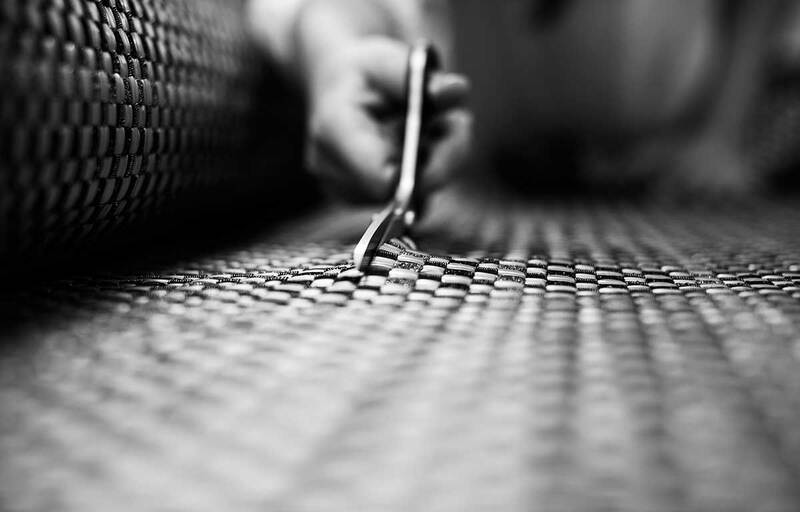 We like to work on the duality of soft and hard and the BOLON material fit perfectly in this vision. It is always a challenge working with a new material and things happen that you do not expect, and this is how new ideas come! The material is quite heavy, which makes it have a nice fall. The combination of mat wool and the shiny vinyl make the material come to life and it feels that it takes its inspiration more from the fashion industry. We have been missing this type of more glamorous choice of textile for furniture. As we mentioned, we have made totally new furniture for this collaboration. We wanted to give the piece the look of an insect, like a Beetle shell and the shimmery appearance of the Duet textile we used emphasizes this feeling. We are already working on new pieces and for every day that goes by we are finding new project where we would like to use it – both for limited edition but also to collaborate with producers. So I think that Annica, Marie and all the BOLON team will see us often at the factory.